Soothing remedy for skin & soul. 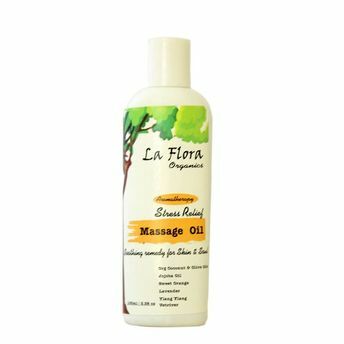 A sweet, exotic, uplifting aroma body massage oil to calm your mind, soothe your nerves & slow down your breathe. Org Coconut Oil, sweet Orange,Lavender,Ylang Ylang, Vetiver -- it's a perfect blend to Destress! Base oil blend of skin nourishing oils like Organic Coconut oil, Extra Virgin Olive oil & Jojoba Golden Oil.